The official park operational calendars show Tokyo Disneyland and Tokyo DisneySea closed through March 21. Daps Magic (@mrdaps), a Disney blog that has been in contact with visitors and employees via Twitter and Facebook, reports that power, water and gas are operating inside the parks. Minor injuries were reported, including a few people treated for anxiety. 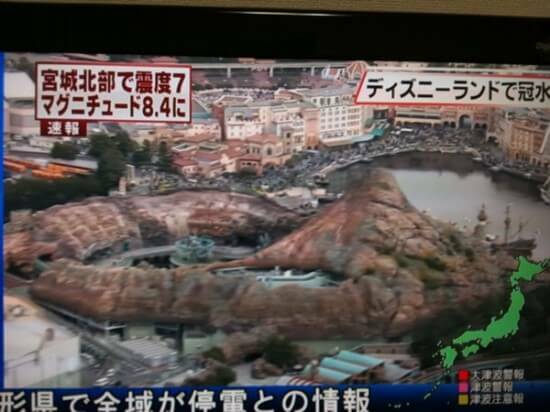 New York Post travel editor David Landsel (@davidlandsel), who has been tweeting from inside Tokyo DisneySea, said about half the visitors have been allowed to return to their hotels or leave the park. The 30,000 visitors who remain in the parks have been treated to tea, cookies, chocolates and pork buns, he said. "What a bizarre (and wonderful) place to be trapped!" he wrote to his followers. The Disney Blog says that theme-park management has said the theme parks will be closed Saturday and possibly Sunday as the damage is assessed. The resort says there were no injuries. "Following the earthquake that occurred today, we [OLC] have decided to suspend operations at Tokyo Disneyland and Tokyo DisneySea on Saturday, March 12 in order to conduct inspections at all facilities. As for operations from March 13 and beyond, that has yet to be determined at this point in time. As of now, we have not confirmed any injuries among our guests or cast members." 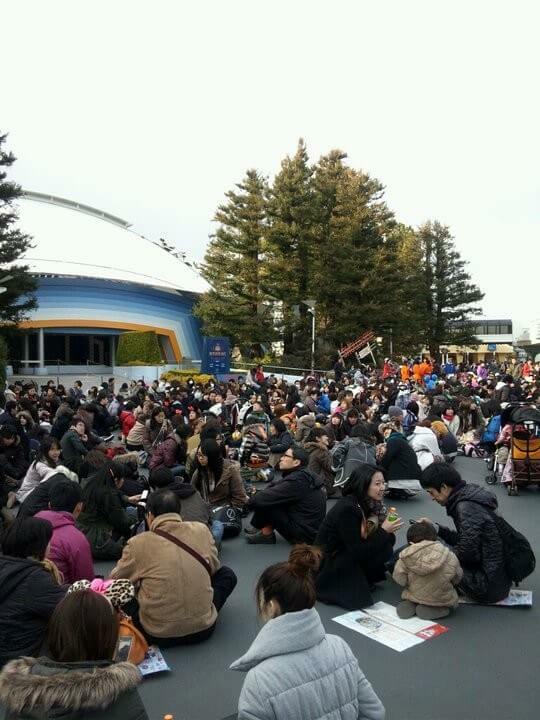 Inside the Magic website reports that 70,000 guests were forced to stay overnight at Tokyo Disneyland. Pictures show standing water in the resort's parking area. The theme parks are about 200 miles away from the center of damage from the 8.9-magnatude quake. Read more at TheDisneyBlog.com and insidethemagic.net. As many of you know, an 8.9-magnitude earthquake struck near the coast of Japan on Friday and Tokyo Disney Resort was one of the many areas affected. Fortunately our team on the ground has reported only minor injuries and minimal property damage at Tokyo Disneyland and Tokyo DisneySea. The safety of our guests and cast members is always our first concern so both parks will remain closed on Saturday to allow for a thorough inspection of our attractions and facilities. Cast members at the Tokyo Disney Resort are also providing humanitarian aid in the form of blankets, food and water for guests who are still at the resort due to the transportation challenges associated with the earthquake. Because of the quake’s effect on the waters of the Pacific, the Disney Wonder’s itinerary was altered slightly due to the closure of the Port of Cabo. Aulani, a Disney Resort & Spa, currently under construction in Ko Olina, Hawai’i, was not impacted. Our thoughts and sympathy go out to our guests, fellow Disney cast members and all of the people in Japan affected by this terrible disaster. We’ll share any additional information today by posting updates at the top of this page.